This guinea pig wall clock is one of the cutest timepieces around! The irresistible cavy fills the entire high-gloss, mirror-like face of the clock! The clock has gold-colored hands and is available in 10-inch, 13-inch, and 15-inch sizes. 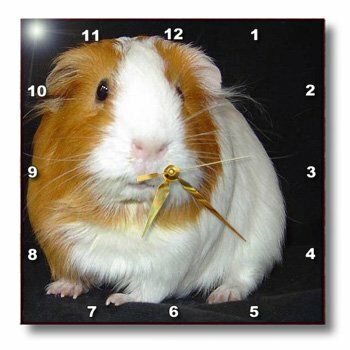 For more information about the guinea pig wall clock, click here.